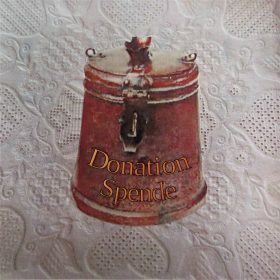 Some time ago a lady emailed me; included in the email were pictures of a beautiful project. It is absolutely worth seeing, so I want to share it with you now. In Canada Barbara Kershaw had started a group project, using as its focus and inspiration my book Fancy Hems. You can see the gorgeous results by following the project link. A very similar project was started by Erma Scrimgeour. 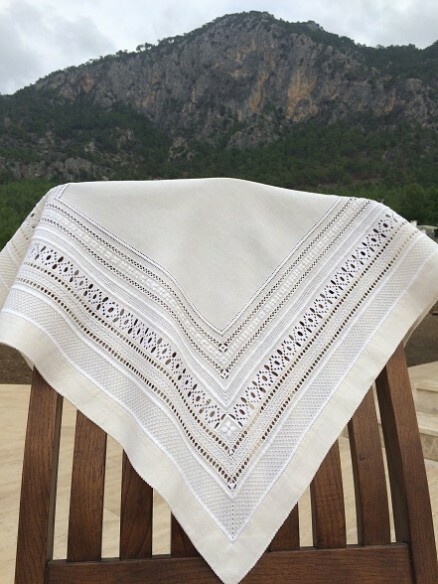 As chance would have it, one of the students, Marina, had to move to Turkey; she took with her the newly commenced embroidery and my instruction book. Now she has finished the project — u n a s s i s t e d ! I thought you might like to see my adaptation of your Fancy Hems design. I started working on it when I was living in Montreal, Canada. At the Lakeshore Creative Stitching Guild we organized a special group led by Erma Scrimgeour where we were stitching our tablecloths from your Fancy Hems book. It took me a while to finish it. During this time, I’ve managed to move from Canada to Turkey and this was my first piece that I’ve finished at the new place. It’s the first time I’ve attempted to tweak a design like this and I must say I’m pretty pleased with the end result. I thoroughly enjoyed stitching the design and look forward to your new releases. 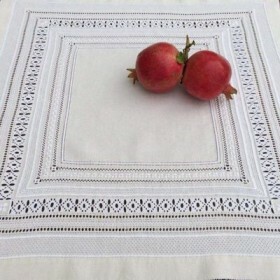 Your tablecloth looks sooo very pretty. 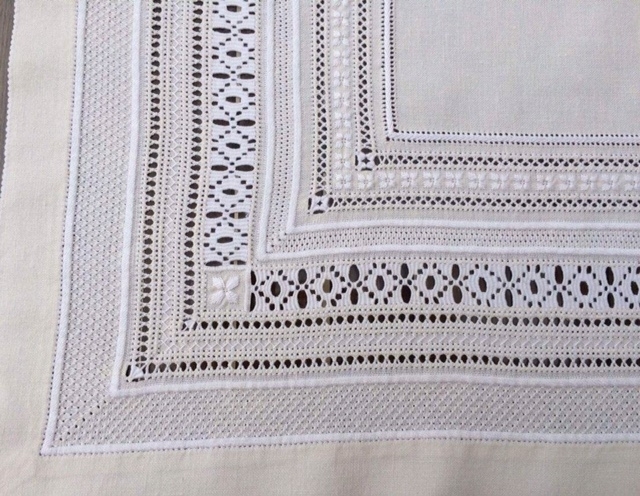 All the details are perfectly worked: the different decorating stitches, the needleweaving, the Peahole hems and the double Peahole hems, and last but not least the corners! I especially love the small flower border and the matching ornament in the corners very much. 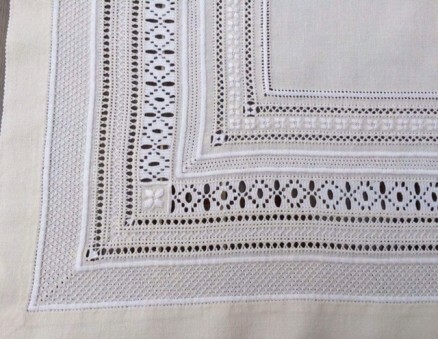 Marina told me, she used Strathaven linen which is about 32/33/inch thread count (13/cm thread count). She also used a combination of threads: pearl cotton #8 thread for the satin stitch (she wanted some shine for the satin stitch), and coton à border #20 for needle weaving, and #25 for pulled stitches. 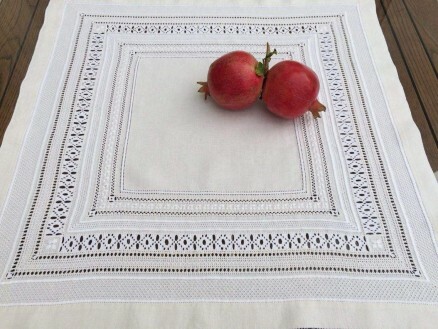 Always enjoy embroidery—maybe your new friends will want to follow your example and work a similar tablecloth. Good luck in your new home and thanks for sharing, Marina! Thank you for sharing this beautiful tablecloth. 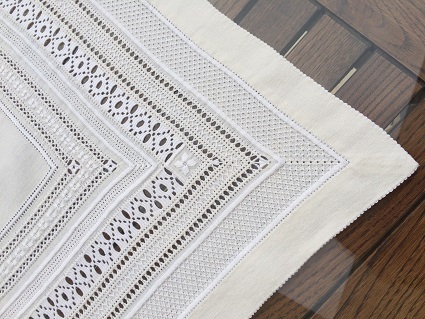 Beautiful, glad to hear she used Strahaven linen and pearl cotton.